(12.10.2010) US Army Private First Class (PFC) Nasser Abdo is engaged in a struggle against religious discrimination and for freedom of conscience in the US Army. PFC Abdo is seeking a conscientious objector discharge from the military based on his religious beliefs as a Muslim, but his unit has instead decided to try to force him to deploy to Afghanistan. We are urging all people of conscience around the world to stand in solidarity with Nasser Abdo. 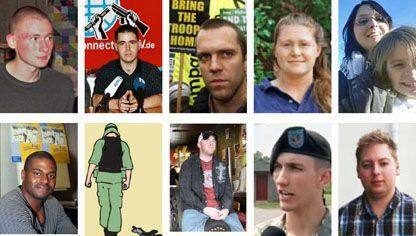 A handful of past Courage to Resist donors have expressed objections to our support of PFC Nasser Abdo. There are always a couple of folks that have problems with any particular objector and their reasons for refusing to fight or speak out. However, in Nasser’s case, it’s been far more than usual. For Courage to Resist, we help objectors tell their stories and support them when they come into conflict with the military as a result of reasons of conscience. For audio and video interviews with Nasser, visit www.freenasserabdo.org.